Click Here to view times available and to book a party! Leave the mess and the stress to us - host your next birthday party or group event at Airborne! Up to 24 participants may attend and partake in the fun. This booking is for 60 minutes in our super awesome gym space and 45 minutes upstairs in our party room! 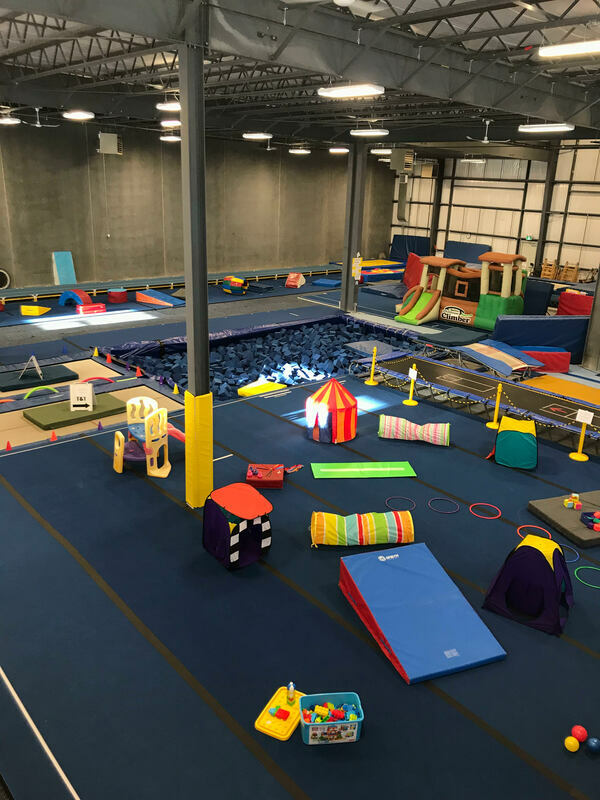 Please note that due to insurance regulations through out Alberta Gymnastics Federation gymnastics clubs, we can not use ANY trampoline during this booking. Two trained and certified coaches will set up age appropriate obstacle courses, toys, stations and games specific for your group! This booking of course also includes our awesome foam pit and crazy cool new bouncy obstacle course and smaller bouncy house for younger athletes! Athletes are welcome to climb, roll, tumble, jump and run wild during this time. The booking can be set up as free play drop in style, or structured learning with small circuits, games and races! Whatever you would prefer, we can arrange! You will be contacted one week prior to the booking to confirm this and other details! Cost is $200 on our Amilia page for a full maximum of 24 athletes! Athletes aged 3 and under will need to be accompanied by an adult during the party time. Parents will need to sign a waiver form with drop off of participants. It will also be included in the initial email you receive after booking! ​You are not just limited to Birthday parties! We also have our upstairs area as well at the gym downstairs available to book! Team Wind-up parties, friends night out, baby showers, corporate events, meetings, ANYTHING you want we can figure out together!! Airborne T&T is available for rentals and group bookings. ​environment for groups of all ages, abilities and interest. and Hitz Batting Cages for a unique booking experience.